I love to admire and get inspired by beautiful jewellery and this book does not let me down. 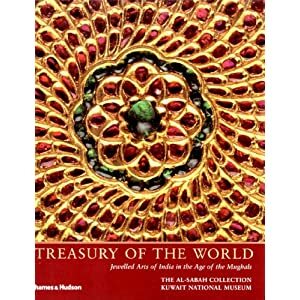 It is full of photographs of amazing collection of Indian Jewelled Arts, for example: engraved gold-backed jewels, relief-carved ornament and inscribed royal gemstones. From this book, I get to know unique stone setting technique which it claims never been practised anywhere except in India. This technique is called the kundan setting.